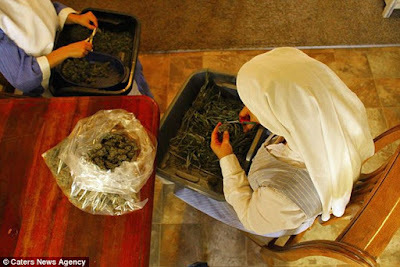 Two nuns who grow and sell marijuana in from their California home are looking for a divine intervention to stop city officials from closing them down. 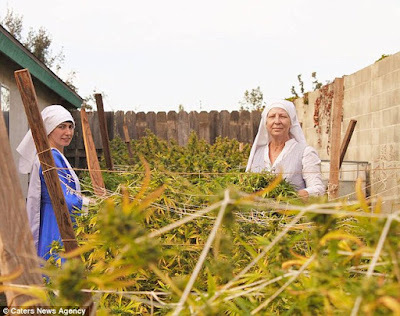 Sister Kate and Sister Darcy, who live in a three-bed 'abbey' in Merced produce cannabis from the adjoining garage. They use the cannabinoids found in the plant to create a variety of products used to treat pain which are now selling out online. Their homemade items will not get their customers high, but they are still facing closure because of new laws preventing residents from growing the drug on their properties. 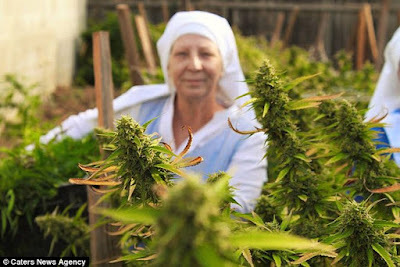 The nuns are currently fighting the council's plans to ban the growth of medicinal marijuana.